Your 4th of July party! Here are some easy peasy ideas for your Independence Day festivities! 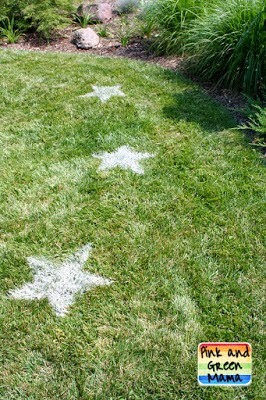 Decorate the yard with these darling sifted flour lawn stars! Throw together a simple cheese tray with pepperoni, white cheese of your choice, and blue tortilla chips. Studio 5 Party, Holiday and Idea Contributor Alisa Bangerter shows how to make it a fun, festive atmosphere.